Simply another in the long line of beautiful new homes in Oxford's premiere gated community, McIntosh Trails. 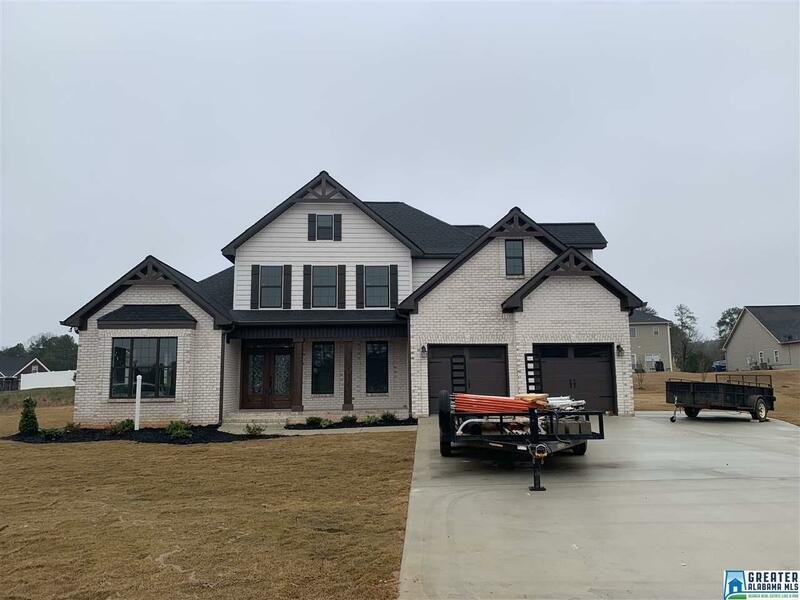 This maintenance free brick/vinyl, 5 bedroom, 3 Bath home is situated on a large, level cul de sac lot, and is filled with craftsman style features and all the amenities you can only find in new builds. Inside you'll love all the modern finishes, with just over 2600 feet, including gleaming hardwoods, heavy crown, granite in Kitchen and baths, elegant fixtures, picture perfect paint colors, and more. The master suite is on the main level and features trey ceilings, sitting area with vaulted ceiling, floating tub, and a oversized tile shower. The Family room is massive with floor to ceiling marble fireplace, which also leads out to the screened back patio. Upstairs you'll find 3 bedrooms, all are good size with walk in closets. Tons of amenities including a pool, basketball courts, clubhouse and room for the kids to roam! Driving Directions: Hwy 21 S Left On Buckhorn, Right On McIntosh, Right Into Subdivision On Coweta Trail, Go To Stop Sign And Take A Left Onto Indian Springs And Then Left Onto Dabbs Rd. House At End In Cul De Sac.